The last opportunity to privatise Air India may have passed. Despite the Honourable Prime Minister’s desire for, and commitment to, the privatisation of Air India, a unique opportunity to successfully conclude such a transaction has been missed. CAPA estimates that the national carrier will lose more than USD2 billion during FY2019 and FY2020, and this may even prove to be conservative. Government is in an unenviable position with limited options. Air India is being drip-fed just sufficient capital to stay alive – and that too, usually later than required - rather than being provided with the one-time infusion that would enable the airline to implement changes that could make a difference. This approach may ultimately prove to be more harmful. The government shows little interest in committing to a significant recapitalisation of the national carrier, but faced with limited options it may ultimately be compelled to. Air India’s value will continue to erode, making future privatisation unlikely. 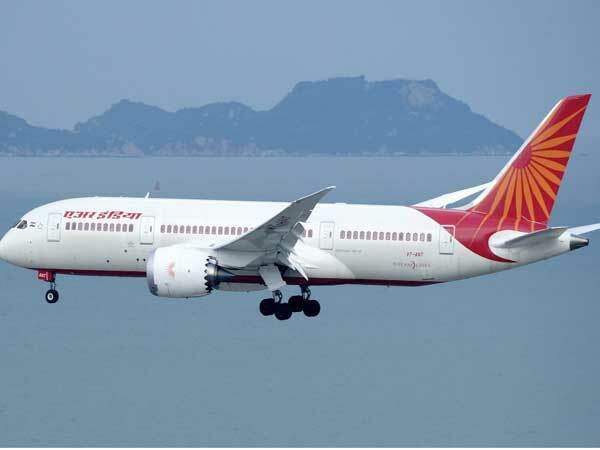 In the absence of full recapitalisation and a clear direction, Air India is likely to see a continued decline in its domestic and international market share, and head towards strategic irrelevance. This will diminish its potential to be revived and to secure a strategic investor. In the meantime, it will remain a structural distortion for the industry and a burden on the tax payer. The quantum of losses will become increasingly unacceptable. If Air India is to reduce its dependence on government subsidies it has just two options. The first is to pursue aggressive commercial, financial, operational and strategic restructuring to better align costs and revenue, however this appears to be unlikely to happen. The second is to monetise its sizeable real estate assets and divest its ground handling, maintenance and catering subsidiaries, as well as Air India Express. As CAPA has advocated since 2011, the cash generated from these transactions could be used to partially reduce its working capital debt also for some operational requirements. Time is of the essence to leverage any value that exists in Air India. Air India Express has achieved a significant improvement in financial and operational performance over the last couple of years, but it may become less valuable over time as private Indian LCCs expand their regional international footprints. And even the Air India’s ground handling subsidiary’s position may be weakened by the AAI’s plans to award new concessions at more than 50 airports. Surprisingly high losses expected to continue. Jet Airways’ losses of around USD185 million in 1QFY2019 were surprisingly high. On this basis, the carrier may be headed for a full-year loss in excess of USD500 million at this stage (which could prove to be conservative), excluding asset sales or other income. Restructuring has not improved financials. Jet Airways has been in perpetual restructuring mode for the last five years. But despite the notable improvements in productivity and reduction in non-fuel costs, this has not delivered a financial turnaround. The investment from Etihad in 2013 had provided some breathing space, but the airline once again finds itself confronted with a challenging situation. The core challenge for the airline is the unviability of its domestic operations which contribute close to 50% of total revenue. Further cost-cutting initiatives and funds raised through lease incentives or by selling and leasing-back owned aircraft may not be sufficient to stem the quantum of losses without addressing the underlying business model. Jet has neglected its domestic business for the last decade, leaving with a weak product and an uncompetitive cost base. Legacy issues and frequent changes in both domestic and international strategy have further contributed to the difficulties that the carrier faces today. To secure Jet’s long term-viability, timely recapitalisation and restructuring should be accompanied by fresh thinking, which could include a change of ownership. Jet Airways is a powerful brand that has played a pivotal role in the development of Indian aviation, and continues to do so. It is the only private carrier to have survived from the time that the industry was deregulated in 1993 and cannot easily be replaced. It is important for Indian aviation that Jet survives and succeeds. This will require time-bound recapitalisation and restructuring delivering meaningful results, combined with a new approach which could include a change of ownership. FY2019 losses expected to reach USD150-200 million. The significant losses projected for the carrier, which has a fleet of just 22 aircraft, reflect the fact that its business model – with a 3-class configuration is not suited to domestic operations. Especially given the need to comply with the Route Dispersal Guidelines. Delays in securing an international flying permit could add to the losses. When India’s third FSC launched, it did so with its eye on the opportunity in the international market. More than three years later Vistara remains a solely domestic carrier, thanks to Indian regulations. Although the airline technically qualified to operate international services earlier this year when it inducted its 21st aircraft, it is experiencing delays in securing an international flying permit, which is surprising. Vistara has recently been making adjustments to its business model in response to the challenging environment. This has included announcing plans to reduce the size of the business class cabin on future deliveries and the introduction of a lower category of more restrictive fares which do not include free meal. The latter initiative may not necessarily yield tangible results and could even elevate strategic and brand risks. Aircraft order signals positive commitment to the market despite challenges. In Jul-2018 Vistara placed an order for 50 A320neos (in a combination of direct orders from Airbus and via lessors) and six 787-9s, signalling its long-term strategic intent to pursue both domestic and international expansion. Vistara will have to prepare for a long-term horizon to achieve profitability. Given the competitive dynamics on domestic routes, and the significant costs that will be incurred in building up international operations, Vistara’s promoters will need to commit a large war chest and demonstrate significant patience. Following record profits in FY2018, India’s most successful airline may report it weakest results in a decade. IndiGo saw its 1QFY2019 profits almost wiped out, and may possibly be heading for a sizeable nett loss in Q2. For the full year, the airline is likely to break-even or report modest profitability, but even a loss cannot be ruled out at this stage. This assessment does not take into account compensation received from OEMs for enginerelated issues. Long haul remains a strategic priority but may be deferred. Having established a strong leadership position in the domestic market, expansion of its international footprint is a clear opportunity. In addition to regional international routes, the launch of long haul services remains a key strategic priority. A wide body order is still under consideration. However, such operations may be deferred due to the current market conditions. And event long haul narrow body operations may proceed more slowly. Costs will need to be controlled. In recent times the carrier has reported a notable increase in non-fuel costs which will need to be watched. The impact of rising maintenance expenses for its older aircraft is contributing to this trend. Transition to a new team will need to be carefully managed. Over the last year IndiGo has seen a number of new faces join its leadership team, right up to the President. Management been strengthened to bring in the skills and experience required for an airline of the scale that IndiGo has become, and to possibly support large scale international However, the transition to the new leadership team – several of whom are expats, some with less experience in the Indian environment - is occurring at a challenging time when both costs and revenue are under pressure, whilst rapid growth is underway. This is likely to be an interim team to see the airline through a period of expansion at home and abroad, with a new structure expected to emerge in a couple of years. Aggressive expansion may increase its risk exposure. IndiGo is the clear leader in the market across strategic, operational and financial metrics, as well as customer acceptance. However, the very aggressive expansion, which could see its fleet size reach up to 242 aircraft by Mar-2019 (higher than our estimate of 220 aircraft made in Jan-2018). This involves adding more than one aircraft a week for the remainder of this financial year, in a structurally challenged market at a time of rising costs, and may increase its risk exposure. India’s youngest LCC expected to report its largest loss in FY2019. The carrier has been loss-making since it launched and faces a challenge with its business model. It is expected to lose more than USD80-100 million in FY2019, with a fleet of just 19 aircraft. AirAsia India’s expansion is likely to be very conservative. Given its financial performance, AirAsia India may not expand much beyond its current size for now. Despite earlier expectations, international operations are unlikely in the near term due to strategic reasons. The two major promoters will need to take some tough decisions with respect to restructuring. A new business case supported by a fresh management team and long-term funding is critical to turn the airline around. SpiceJet expected to break-even or report modest profitability in FY2019 as sale-andleaseback incentives kick-in. Although the carrier reported a loss in Q1 - its first after 13 consecutive profitable quarters - it was profitable before exceptional items. In fact, the airline’s performance in Q1 was surprisingly good, with an improvement in yields counter to all industry trends, indicating a tighter focus on revenue management. With sale-andleaseback profits expected to kick-in from Sep-18, SpiceJet could break-even or report a modest profit for FY2019. However, in common with the other leading LCCs, a full-year loss cannot be ruled out. India’s second largest LCC does not show any signs of rationalising its growth plans, except to defer the launch of long haul services. The carrier could be in the market in the near-term to raise capital to support its unprecedented narrow body and Q400 expansion. SpiceJet is expected to add over 20 aircraft by Mar-2018. Maintaining the stronger yield performance exhibited in Q1 will be challenging as its size and scale increases rapidly, especially its narrow body fleet. However, plans to launch freighter operations may be a strategic risk at this stage. The value in cargo is in door-to-door services, however this requires massive investment in last mile connectivity. The airline’s earlier non-core initiative in the retail space, SpiceStyle, proved to be an avoidable strategic mistake. GoAir is expected to break-even or report a modest profit in FY2019. However, in common with the other leading LCCs, a loss cannot be ruled out in the event of deteriorating conditions. Growth spurt is taking GoAir into uncharted territory at a difficult time. After a decade of very conservative growth, GoAir has only recently embarked upon an aggressive phase of expansion, but this has unfortunately coincided with the more challenging environment. The carrier’s fleet size is expected to touch 55 aircraft by Mar-2019, subject to any delivery delays related to engine problems. First international routes announced. GoAir will operate to Male and Phuket effective Oct- 18. However, further international expansion is likely to be modest in the near term. Fleet strategy expected to focus on profitability and fuel efficiency. Due to market conditions, GoAir may place some of its aircraft with other carriers on a short-term basis. This strategy could initially see 8-10 older A320ceo aircraft being sub-leased, in order to transition to an all-A320neo fleet. In that case the fleet size would reach around 46 aircraft.